Some of the best fishing opportunities in the nation are available in Washington. 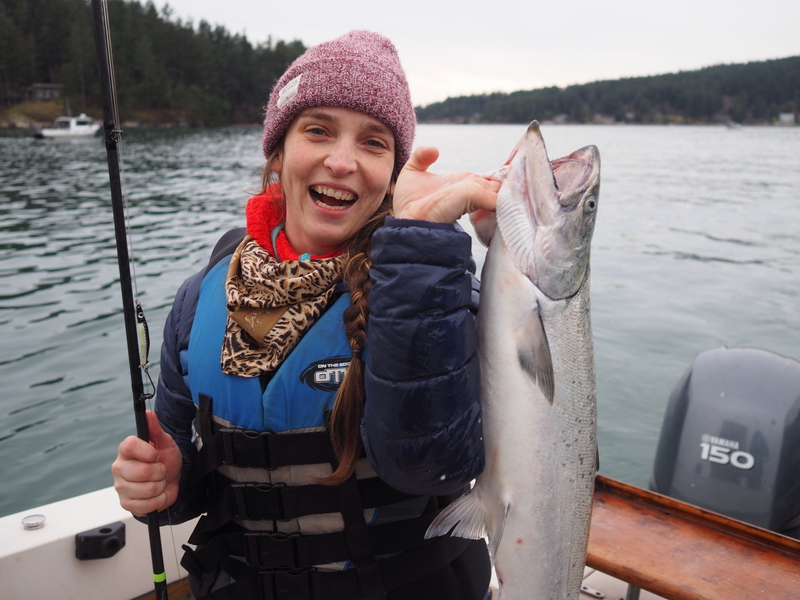 From fly-fishing for bass and trout on freshwater lakes and streams east of the Cascades to trolling for salmon along the coast to crabbing in Puget Sound, Washington offers a diverse and unique outdoors experience. Find the experience that's right for you, whether you're a long-time angler or a first-time fisher. Want to fish in Washington? Keep up to date with the latest fishing rules and regulations. Shellfish harvesters have an assortment of opportunities in Washington. Whether hiking to a remote lake or heading out for a day on the ocean, fishing opportunities abound in Washington. Find information about the latest creel and stocking reports in Washington waters. Learn about fishing techniques and equipment, along with suggested preparation and cooking methods. A guide to how WDFW manages fish and shellfish. Learn how the Washington Department of Fish and Wildlife works with tribes to co-manage the state's fisheries. State shellfish managers have tentatively scheduled razor clam digs on ocean beaches extending into late April. The statewide trout fishing derby starts April 27, with over 1,000 prizes worth more than $39,000. WDFW protects surf smelt and Pacific sand dab on beaches where spawning has been documented. Northern pikeminnow eat millions of salmon and steelhead juveniles each year, and reducing the number of these voracious predators helps those juvenile fish make it out to sea.